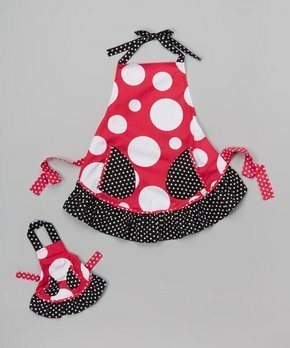 Dollie and Me Sale – Outfit Sets On Sale! Here is one of my kids with a Dollie and Me outfit we got for one of my daughters! There is s a great sale right now on Dollie & Me outfit sets, for as low as $11.99 for the set (girl & doll outfit). These are some great prices, and they will ship for FREE too on Zulily right now! This is a great price for an outfit for little girls and their dolls & there are some cute ones in this sale from Dollie & Me. Check out the current Zulily Dollie & Me sale going on here. You can also find more Dollie & Me outfits on the Zulily category page here too. Amazon has some nice discounts on Dollie & Me clothing sometimes too, so be sure to check those out. 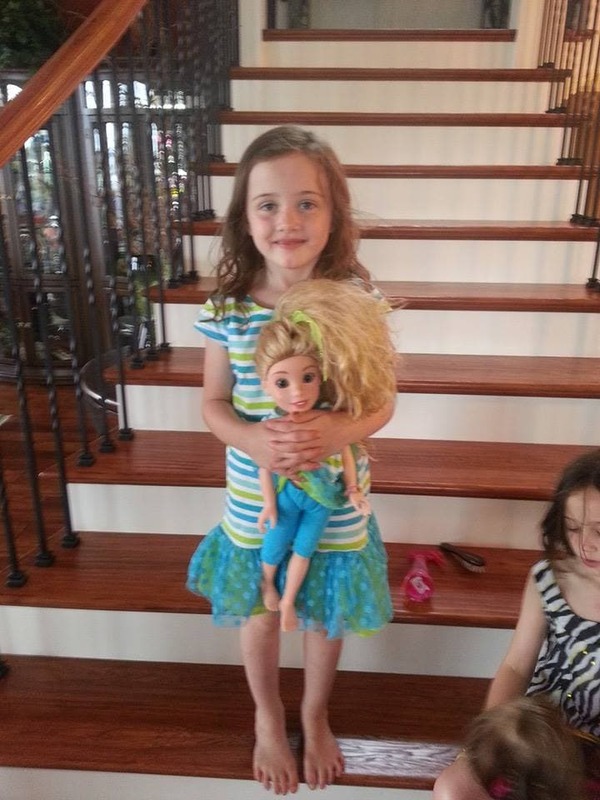 Kohls – The outfit pictured above on my daughter and her doll, came from the Kohls clearance rack. We paid around $7 for this set on clearance, so its worth keeping an eye on those sale racks. You can also check out their deals online here. Be sure to check to see if there are any current coupons to use at Kohls, as this is where you will really save big. For example, between sale prices and coupon codes when they are available you should be able to find the outfits for under $15 at Kohls! Let us know if you have found other spots with great prices on these matching outfits. These items DO fit American Girl dolls. This Apron Set is just $9.99 while it lasts (one of the best deals we see on these)! This Dollie & Me Outfit set is just $11.99 while it lasts! We found Dollie and Me Pajamas sets for as low as $12.99 to $14.99, on Zulily right now. That is a great price for the Dollie & Me outfits! Find all of the Dollie and Me outfits on this page here! I love the Dollie & Me brand because they are much more affordable options for matching clothing for your daughter & her American Girl (or similar sized) doll. If you shop on the American Girl site or in the store, the options are at least $40 – $50 & up for matching girl & doll outfits, so this is a significant savings. I’ve bought my girls these outfits for several years and my girls love them. One thing to note, though, is that the sizes do tend to run small (especially on the pajamas I’ve found), so you might want to consider ordering a size larger. Don’t forget to check out our ideas for ways to save on clothing, accessories & more for American Girl Dolls! We’d love to learn more tips, too, if you have them to share! Thank you for posting this deal, and especially for sharing your experience with the pajamas running small. I just ordered a pajama set for each of my girls and was debating on which sizes I should buy for them. Thank you very much!! Happy Thanksgiving! !